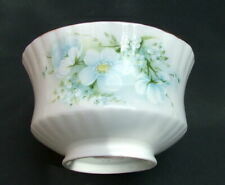 & has the usual Royal Stafford Bone China Made in England backstamp on the bottom. It is in Lovely, Clean used condition and. Good First Quality Circa. Australasia / Worldwide £8.00. The pattern is sharp and clear and the glaze very shiny. Australasia / Worldwide £7.00/£4.00. 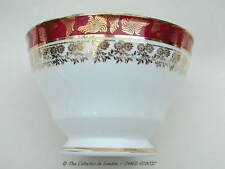 Replacement fine bone china sugar bowl in "Romana" pattern with bright gilding to the edges, manufactured by Royal Stafford China of Longton, Staffordshire, England 10.5 cm (4 1/8 inches) diameter at the top and 7 cm (2 3/4 inches) deep. 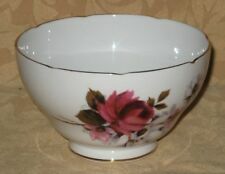 Royal Stafford 'Olde English Garden' Sugar Bowl. Pretty pink roses design on white background.